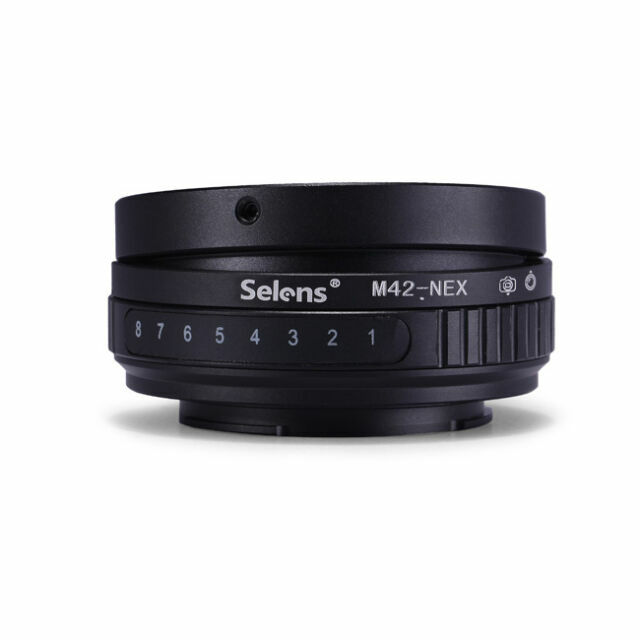 "M42 Mount Lens to Sony NEX Tilt-Shift Adapter Ring Adapter Ring can make some lens use on other lens mount. Greatly rich your lens choose. Although cannot used with AF. It will bring you many fantasy experience. You should not miss it Open "shoot without lens" mode before use. cannot used with AF Features: Make M42 Mount Lens can be used on SONY NEX. Allow you to change focus with your M42 manual lens to achieve special results shooting. 8 marks to tell you the tilt degree exactly. Brand new and high quality. Focus infinity. Made of metal."